The key purpose of pairing wine with food is to increase your enjoyment of both. Demystify all the mystique surrounding wine pairing with food choices by simplifying it all down to one simple concept of balance. Although I would never pretend to be a wine expert, I can tell you that as a very general rule of thumb, wine experts tend to suggest it is best to choose any wine based on paying attention to which flavors it exhibits and thinking about how those will “balance” with some obvious flavors associated with food items you plan to pair it with. The California Winery Advisor (CWA) has some general suggestions that I hope you will agree seem to be common sense in terms of what types of wines might appeal when paired with what food items. I also have to appreciate the sense of humor of the author of the article on Guidelines to Food and Wine Pairing on their website as “Silence Dogwood” reminds me of Ben Franklin’s nom de plume of Silence Dogood used when he was but age 16 when his famous essays were published centuries ago. In effect the author there is saying to lighten up when it comes to pairing wine with food and never take it too, too seriously. Wine today has become more accessible to individuals around the globe of many economic levels. That increased accessibility has broadened wine’s appeal to the masses as the saying goes. Many people around the world want to experiment with wine in a positive way, including by combining it with all sorts of food items across the spectrum of cuisines. Wine is now considered friendlier and more desirable than ever before in history. Studies have shown that adults of all ages, including those of advanced years, can have an improved appetite response when wine is used to stimulate their sensory enjoyment. That is why even some continuing health care community settings will offer opportunities for those residents who are able to enjoy a social hour prior to dinner dining at least sometime each month, if not weekly or perhaps even daily! Needless to say, if you did the math, there is basically an almost infinite number of potential wine and food pairings, since new vintage years of various wines are constantly being released. What really matters is finding pleasing combinations when you do your own sensory evaluation of wine and combine your wine tasting notes with those of others so that you can feel confident in any wine choices you make to serve yourself and guests alike. In the end, it is up to you what choices you go with if you do pair food items with wine when you serve family and guests during the holiday season and for other special occasions for that matter, as well as parties and even any routine get togethers. Examples of some popular grape varieties used to create white wines include: Chardonnay, Chenin Blanc, French Colombard, Gewurztraminer, Marsanne, Muscat, Petit Manseng, Pinot Blanc, Pinot Gris, Pinot Grigio, Riesling, Roussanne, Sauvignon Blanc, Scheurebe, Sémillon, Seyval Blanc, Vidal Blanc, and Viognier. Examples of some popular grape varieties used to create red wines include: Barbera, Cabernet Franc, Cabernet Sauvignon, Chabourcin, Charbono, Cinsault, Dolcetto, Gamay, Grenache Noir, Malbec, Merlot, Mourvèdre, Nebbiolo, Norton, Petite Sirah, Petit Verdot, Pinot Meunier, Pinot Noir, Sangiovese, Syrah, Tempranillo, and Zinfandel. Just because any wine aficionados at CWA or elsewhere might suggest that for Thanksgiving you could pair a “rich Chardonnay, a medium Merlot or even a soft Viognier” to go with poultry, doesn’t mean you can’t adventure outside of some of the typical suggestions and make your own choices instead. I’ve already provided a link to a site from which you can download some basic information related to wine tasting under the category of “Fine Wine” so please see my November 15, 2011 blog posting on Sensory Perception and Wine Evaluation for more details on that. It goes a little bit into what I chose to call the Five “S’s” of wine appreciation: See, Smell, Sip, Swallow and Savor. Such “technical wine tasting” is typically based on a total possible score of 20 points wherein frequently color/appearance of the wine is a maximum of 3 points; the aromatic qualities or perception of the “bouquet” is a maximum of 7 points, and the palate evaluation or “flavor” and “balance” is a maximum of 10 points. I wanted to share several other useful links you might want to check out if you are considering pairing wine with food for any of your special or even everyday celebrations, including for any of the upcoming holidays. You can also find a more elaborate 2 page .pdf Wine Evaluation Chart posted in year 2010 courtesy of the American Wine Society at or a 3 page .pdf Wine Evaluation Chart from one of its chapters, the American Wine Society Triangle Chapter (serving Raleigh, Durham, and Chapel Hill, and the Vicinity there in NC) or a 2 page MS Word American Wine Society modifiable Wine Evaluation Chart and you can go to the Recognose Pty Ltd site in Australia (Recognose Aromas Reference Technologies) site where you can fine more Wine Education Resources . I’ve mentioned that any wine choices might be made because the wine(s) would be considered to balance out the flavor notes of the food items being served. Consider your menu and then think about its sensory characteristics that encompass taste and flavor and broadly include concepts such as savory, acidic, sweet, tangy, sour, lemony, berry, gamy, smoky, tomatoey, plummy, curried, salty, peppery, bland, mild, spicy, creamy, fatty, etc.–you get the idea. You would then pick from either white or red wines which have very involved sensory flavor characteristics that go beyond taste, since wine “tasting” refers to characteristics that include flavor qualities. For example, according to the Aroma Dictionary site, white wines might be described as “floral, citrusy, herbaceous, aromatic, developed” etc. ; while red wines which have aromatic qualities described as “berry fruits, herbaceous, spicy, earthy, oaky, complex, and aged” etc. Wines can even be used in preparing an Intermezzo, a small serving of a frozen sorbet typically made with a very flavorful wine, but which could also be made with say an apéritif or cordial, etc., as an alternative, used for palate cleansing purposes in fine dining settings. The portion size is just enough to accomplish its task admirably (about a 1 oz scoop served in a well chilled elevated presentation cup and then eaten using a petite demitasse spoon). I did a previous Facebook posting on this back on November 3, 2011. In terms of an Intermezzo, the tannins in red wine or the acidity in white wines can accomplish a palate cleansing, clearing out prior sensory perceptions and allowing the diner to move on to prepare his or her palate for the next course that is about to be served. Let’s say an appetizer happened to be perceived as more salty or more fatty, in which instance serving an acidic Intermezzo would be considered appropriate as acidity is know to balance out saltiness as well as fattiness and accomplish a pleasing palate cleansing as a result. Note that you would probably not mix an acidic wine, however, with a very creamy dish such as say an Alfredo sauce, since it might not accomplish a pleasing result (often it may not work to mix a lot of acid with milk without having a less desirable curdling effect occur). You might find that you prefer a pairing of say a rich Chardonnay, Cabernet Sauvignon, Merlot, Red Bordeaux, Shiraz or even a Zinfandel with an Alfredo Sauce or even with a higher fat meat dish per the site Food and Wine Pairing . By the way, there is a reduced fat recipe for an Alfredo Sauce that is very nice, made with fat-free cream cheese, which I can heartily recommend–I use it for Pasta Alfredo in the winter time and it is delightful! I’ll be posting that recipe this winter. On the other end of the spectrum, pairing a lovely “ice wine” with anything containing a rich, dark cacao flavor can be superb! That is one reason why my November 15, 2011 blog post features a bottle of “Thin Ice” wine from Yates Cellars here in New York State in the Finger Lakes Wine Region per se, which is a Cabernet Franc ice wine, as it happens to be delicious with my Birthday Cake aka a Holiday Yule Log aka a Chocolate Log or a BÛCHE De NÖEL dessert recipe that will be coming this holiday season to the blog site. 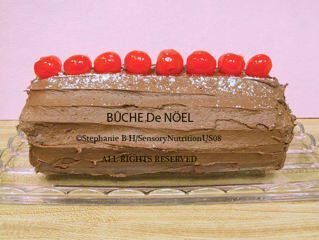 Although I will not be putting the recipe up on my actual birthday, I will be posting it very soon, as it is a very special traditional wintertime holiday cake. Although some wine connoisseurs will say that any sweet dessert should always be “less-sweet” than the wine, as a lay person I might not necessarily agree–that is my prerogative. You might find that what matters to you is buying what pleases your palate (offers a pleasing balance from your sensory perception perspective) that you would like to serve to yourself and others. You can decide for yourself what wine pairs well with which food items to please your sensory perceptions. Life is all about considering the possibilities. Don’t be afraid to try different food with wine pairings, even if you think it might be “breaking the rules” per se. In the end, it all comes down to whichever wine(s) you feel makes whatever food you are serving truly thrive–a matter of your’s and your family’s and your guest’s personal taste.